Cause you're first-rate when it comes to lace. 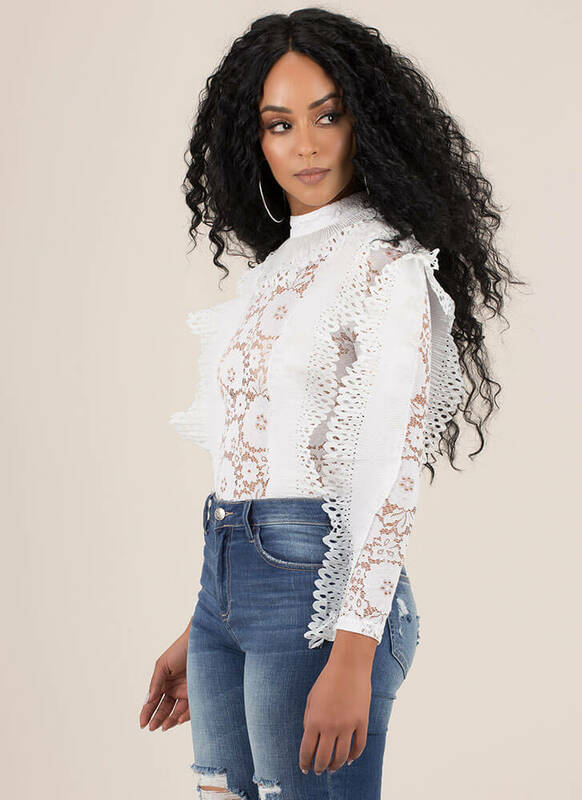 Stretchy, semi-sheer, floral lace bodysuit features long sleeves with ruffled eyelet panels down the sides, a matching collar, and two additional ruffled columns down the front and back for a frilly, voluminous, super dramatic look throughout. Bodysuit is finished with triple snap button closure at the crotch and a hidden rear zipper for easy on and off. Pattern placement may vary.